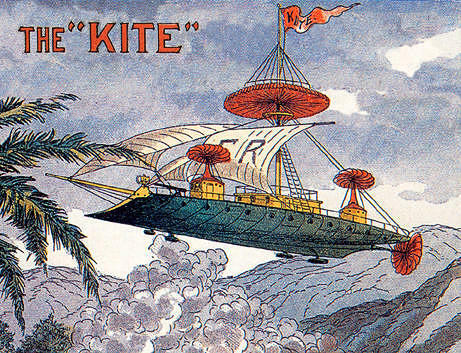 Frank Reade Jr. and his daughter, Kate Reade, were the greatest explorers and inventors of their age. The Steam House, Robur the Conqueror, and Master of the World. 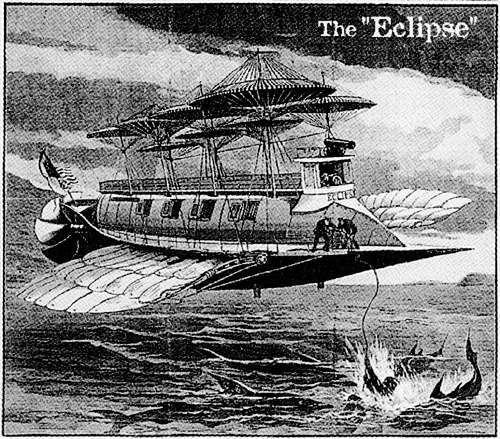 Reade's helicopter airships predate Verne's "Albatross" by several years. 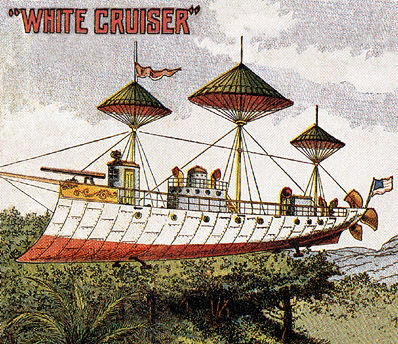 Manufactured entirely at the Reades' foundries and machine works in Readestown, Pennsylvania, the ships were constructed from a bullet-proof aluminum/steel alloy of Frank Reade Jr.'s own invention. Chemical generators powered the rotors and the vessel's electrical systems, such as sources of light and heat. 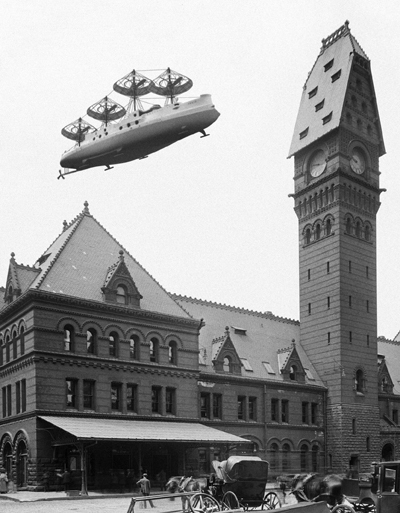 The ships were airtight and could be pressurized for high-altitude flight. 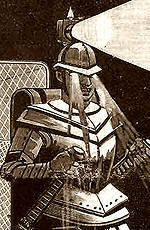 The craft were well-armed, and their decks were electrified to repel boarders. 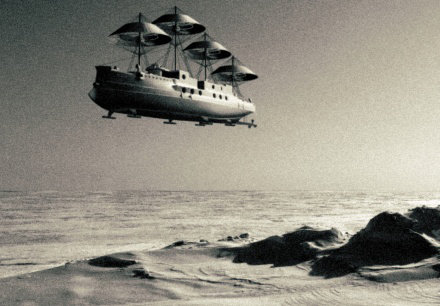 Fully loaded, the ships were capable of traveling around the world without making a single stop. 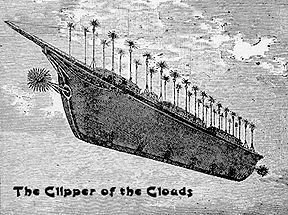 View engravings of "The Clipper of the Clouds" maiden voyage. 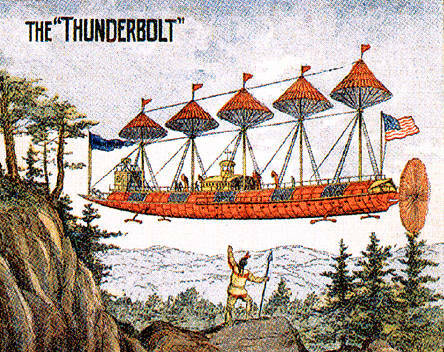 The Reades produced a strikingly wide variety of inventions, among them steam-powered robots. Although the Steam Man was invented by Johnny Brainerd in 1868, in 1876 Reade Sr. improved on its design and produced a Steam Man Mark II. Reade Jr. then produced a Steam Man Mark III in 1879. 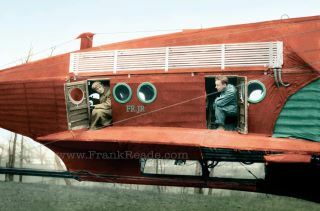 Purchase beautifully restored, full color art prints of Frank Reade adventures. All contents copyright 2003, 2012 Paul Guinan. The Reade family's egos, political affiliations, and unabashed imperialism would garner little support today, which may help to explain why such significant figures remain largely ignored by history.